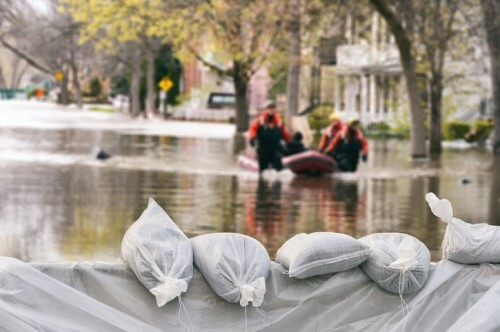 Over $16.5 million in federal and provincial funding has been pledged to support flood resilience projects in British Columbia. The funding, made under the National Disaster Mitigation Program (NDMP), will be used to back 32 projects in the province. A release noted that some municipalities and non-government organizations have also partnered with the provincial government to provide an additional $2.16 million to the projects. “Weather-related natural disasters are getting more severe, more frequent, more damaging and more expensive, threatening the safety of our communities and our economy. Through the National Disaster Mitigation Program, the Government of Canada is protecting the neighbourhood surrounding Vancouver’s Locarno Beach from flooding,” said Member of Parliament for Vancouver Quadra Joyce Murray, on behalf of Minister of Public Safety and Emergency Preparedness Ralph Goodale. “After two straight years of severe summer wildfires and significant spring flooding, the importance of disaster mitigation and emergency preparedness has never been so clear. This program and partnership with the federal government will help make our cities, towns and villages more resilient in the face of disasters that are increasing in both frequency and severity,” added Emergency Preparedness British Columbia parliamentary secretary Jennifer Rice. This is not the first time BC had received funding under the NDMP; earlier this year, the program granted $10.7 million to some 30 flood mitigation projects. The NDMP has also provided funding to resilience efforts in Ontario, as well as Newfoundland and Labrador.